Ebeltoft is a town with a population of 7,528 (1 January 2013)on the central east coast of Denmark, located in Syddjurs municipality in Region Midtjylland on the Danish peninsula of Jutland. 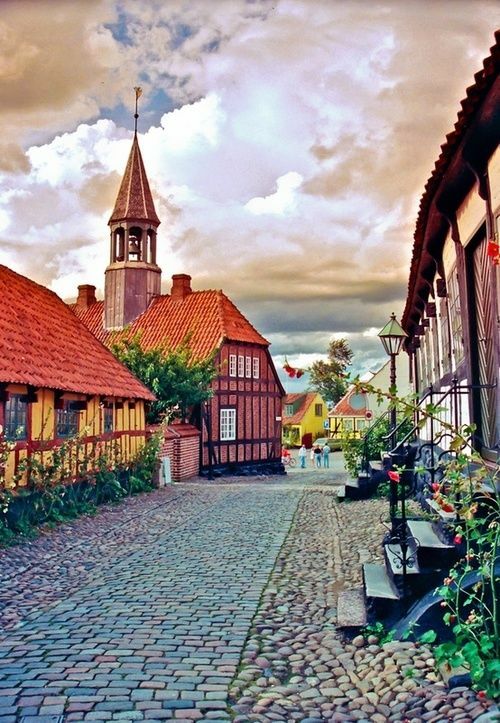 Ebeltoft is one of the tourist centres of Denmark, due to the natural beauty of the area, its old town center with cobble-stoned streets and centuries-old half-timbered houses, and - not least - many beaches. Also, Ebeltoft is home to one of the world's first glass museums and to theFregatten Jylland, the longest wooden warship in the world.